Google AdWords is a mainstay for many new eCommerce ventures. Companies fear that without Adwords, they could spend months or even years in the sandbox. They worry they’ll be there waiting for their SEO efforts and other more organic marketing efforts to bear fruit. So they wonder, “Do I need Google AdWords in order to succeed in eCommerce?” The short answer to this question is: that depends on your industry and your marketing goal. The upfront investment for advertising might be more with Google AdWords. But the rewards from generating new leads and customers within a short amount of time can greatly make up for that expense. All you need to do is understand the basic strategies of running a Google AdWords campaign for your company’s niche. You should also be familiar with the industry trends—or industry sectors—that are driving the best results. AdWords might not be an absolute need for your eCommerce company. However, it is an important component of any eCommerce marketing strategy. That being the case, it is important to know the data on your industry so that you can invest wisely. Here is an outline from WordStream of typical conversion rates across industries. It will give you some guidance on how your niche is likely to perform in Google AdWords. From the data provided by WordStream, we learn that the best converting niche at the moment is the insurance or finance niche. This industry has an average conversion rate of 7.19% for search ads (ads appearing in Google’s organic search results). The finance industry is followed by the home appliance and real estate niches, which have a conversion rate of 2.19% and 1.49%, respectively. This data is not surprising when you consider that both are highly visual markets. One well-placed image can bring about a high-quality lead or conversion. The eCommerce industry has a number of challenges when it comes to AdWords. With a conversion rate of 1.91%, there is a great deal of fine-tuning and expertise involved in making these ad networks provide a worthwhile return on investment. Smart campaigners and AdWords agencies will usually focus on boosting the performance of keywords with high commercial intent in order to yield the most out of their search campaigns. Google AdWords can perform well for the eCommerce industry and is often a great way to get your foot in the door.Click To Tweet As a new eCommerce or retail startup, your best chance of success is going to be focusing on keyword research and fine-tuned niche marketing. Google is always looking at more efficient ways to provide data and insights to those who use the Google AdWords platform. So keeping an eye on the latest Google Adwords conversion and tracking tools and utilizing the most recent campaign strategies are a must. To avoid over-expenditure, it’s important to develop a sound keyword strategy because this area is where you are going to spend your money. When you create your AdWords advertising campaign, you must choose keyword phrases on which to bid. These are keyword phrases that you want people to search for in Google before they find your website. The idea is that if these keyword phrases are closely related to the product or service you are selling, those searches will most likely become leads or customers on your website. The problem that many marketers have is they don’t do keyword research before choosing the keyword phrases of their ad campaigns. Google AdWords has a free tool called “Keyword Planner” where you can get keyword suggestions for your particular niche. You can also see how many searches those keyword phrases have gotten on average per month and per year. There is even a column that states the average price on which marketers are bidding per click for each keyword phrase. This information will give you an idea of how much you will have to spend if you include those keywords in your ad campaign. Google’s Keyword Tool is not the only tool you should be considering either. There are other tools available—both paid and free—which can help you fine-tune your campaigns. One of my favorites is KW Finder. It can provide you with some excellent keywords ideas. It can also show you competitors in a particular niche, volume and overall competition, and associated phrases. If you have used the keyword planner tool effectively, then you will know if your eCommerce website’s niche is popular or not. Just study the number of searches for your niche’s common keyword phrases. For example, the niche “weight loss” gets tens of millions of searches per month on Google. This makes weight loss a popular niche. However, do not choose generalized keyword phrases for your ad campaign because they will be more expensive per bid. The reason why is that everyone else is bidding on those phrases too. For example, the keyword phrase “business services” costs $58.64 per click. Depending on your budget, you’ll probably want to bid no more than $2.00 per click in the beginning. What you must do is get more creative with your keyword phrases. They should describe more than just your basic niche. Google AdWords can either be an invaluable marketing tool for your startup or something that will bankrupt your business. One of the biggest challenges with Google AdWords is learning how to use it properly. It is difficult to do so while not wasting too much money on poor performing keywords. You can start smart by not setting a big budget for yourself. Wait to do so until you start receiving positive results from your investment. You might find yourself spending too much money and not getting any customers or leads on your website. If so, you didn’t properly research the keywords of your niche well enough. This will be your biggest challenge, no matter what your niche is. Do you need Google AdWords and other forms of paid media buys in order to succeed in eCommerce? No, you don’t. But you might find that investing in a campaign with sufficient research is going to boost your ROI. And it will do so well beyond the other marketing strategies in the early life cycle of an online eCommerce venture. David is a marketing consultant and the founder of Mallee Blue Media. David lives in Australia and specializes in content creation and publishing. Google AdWord play a major role in E-Commerce company as it provide us more advertisement options so that we can increase our business. Your article is worth reading. Ya adwords which are used to make your website popular, and get more revenue from it. Adwords is a best & effective way to make a revenue in a short period of time. Indeed, Google is the first choice for any kind of advertisement but other platforms like Facebook is enhancing their advertisement experience for users and offering many new and attractive features which can help to boost your company sales and branding. Yes, it’s an important part to grow you eCommerce business. 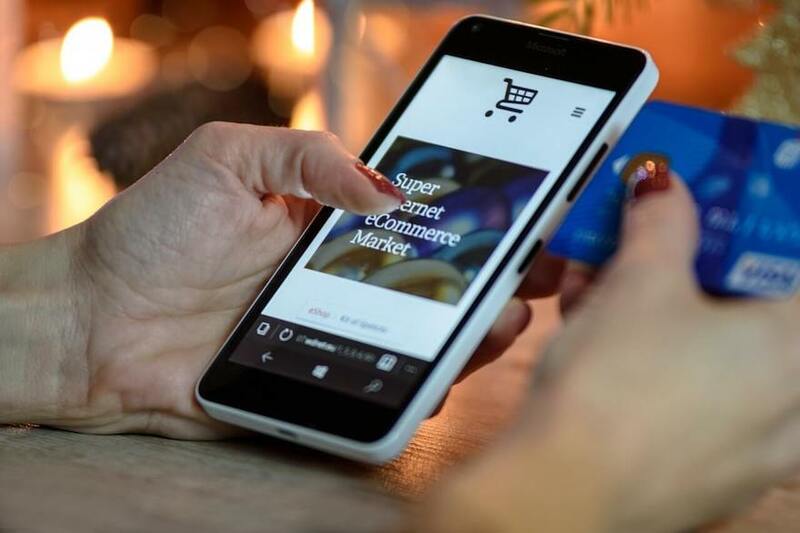 We all know that a Google shopping campaign would also allow us display advertisements with an illustration of the product, cost and some other salient features of it. Very informative. Thank you for sharing wonderful information. Google Adwords is really wonderful tool for ecommerce business. Google Adwords is pretty important for e commerce. Google Adwords has an important role in e commerce business. Really informative article. Google adword playing a vital role in eCommerce business. Adwords is openning a flood gate to increase sales. great insights are given on usage of Google AdWords for an e-commerce company. SEO gives results but it takes time for a website to be on the first page of google. Hence, Adwords is very very important. Thaks for sharing the article.